Sergeant Schedule, a cloud based software, combines a project scheduler, time tracking, estimates & weather reports all merged on top of Google Maps. Your Excavators Will. "I really like how simple it works and how organized I am." "Sergeant Schedule saves me so much Time." 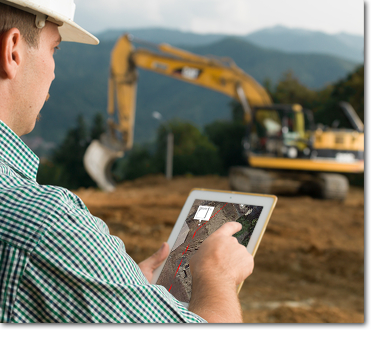 Our smartphone interface is designed specifically for your Excavators in the field. With a single finger, your excavating staff can clock their time, add notes, pictures and more. Move your excavating crews around the calendar quickly and easily. Our team calendar allows for quick scheduling and versatility as soon as the weather changes. Our algorithms predictively assist your staff with their decision making. A quick look at scheduling your staff directly on the map. We shrunk our scheduler down to a daily team scheduler to fit your phone. Your contractors can track their own time right at the job site. Plot your Projects on to Google Maps Sergeant Schedule, a cloud based software, combines a project scheduler, time tracking, estimates & weather reports all merged on top of Google Maps. Your Excavators Will. Hourly Time Tracking Mobile Clock In/Out allows your excavating to track their time. In under 5 clicks, your employees can track their hours and provide job site feedback & pictures.